I'm having a major cramp right now. The struggle of being a woman. I feel so uncomfortable as I'm writing this post but now worries, I will be fine. So, I have been tagged by two persons - Farahin and Eyja. Thank you for tagging me, girls! 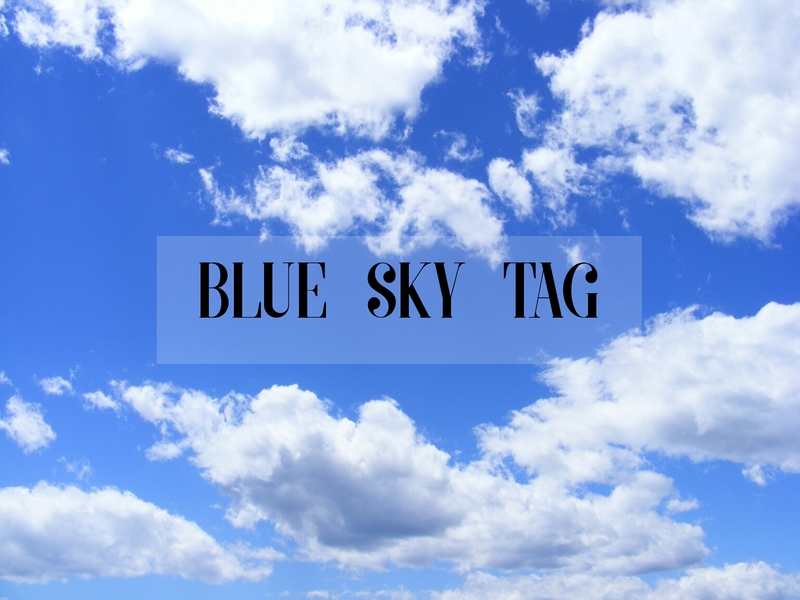 Although this tag is quite similar with the Sunshine Blogger Award but there's no harm writing it. You are supposed to thank the person who tagged you, answer the questions provided, tag another 11 people and provide 11 questions for them. However, I don't think I'm going to tag anyone beacuse I can't think of 11 questions at this point of time, also lots of bloggers I know have already been tagged so. In today's post, I will be answering 11 questions from Farahin and another 11 questions from Eyja. It's gonna be a long post so grab a cuppa and enjoy! 01. What was the last song you listen to? Describe about it. Can't Help Falling In Love. It's a love song, obviously. I don't listen to love songs often but I'm currently in love so. Anyway, this song speaks my soul at the moment, I can't but to replay the song over and over again. 02. What kind of music do you prefer to listen when you're driving? 03. What is your favorite band? Westlife, BSB, Maroon 5, One Republic, 5SOS. 04. Do you prefer cheap but delicious food at mamak/ warung or expensive and delicious food at hipster/ famous cafe? 05. What is the thing that you're good at? Spending money, playing with makeup, remembering names, procrastinating, chopstick usage, raising one eyebrow, making weird faces. I'm well aware that these are not talents or things like that but these are the only things (that I can think of right now) I'm good at. 06. If you have to choose between friends and lover, which one would you prefer? Both are equally important to me. This question is like somehow asking, "Which one is more important: breathing in or breathing out?" Both are important and both will keep you alive, that's for sure. So that's about that. 07. How would you describe yourself? If I was to describe who I was, I would say I'm a cat lover, a makeup enthusiasts, bubbly, caring, sympathetic and I'm a people pleaser. I'm a sweetheart and a psycho girlfriend all in one. I can be short tempered, my patient bubbles really near the surface. I get frustrated with myself pretty easily because sometimes I don't know how to make things work. I'm a bit OCD in certain aspects of my life. I hate math or anything that involves numbers or calculating. And I love to laugh because I love the feeling of happiness and positivity. So that's me, what about you? To be completely honest, I love what I'm doing right now - studying. I love studying and learning in general. I love to know and understand things. I know it takes up more time compare to binge watching TV shows but I love it, still. 09. When did you start blogging? I started when I was 14. 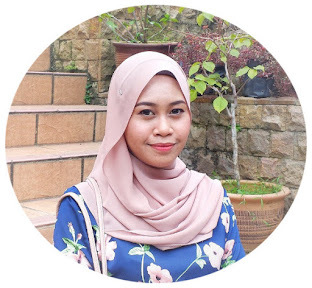 Now that I'm 21 and I have been blogging on and off for 7 years-ish, I would say that does not give me the 'ticket' to be a successful blogger, yet. I'm still in the process of learning to become a successful one although it's kind of blurry. Long story short, I started when I was 14. I made a post talking about how and why did I begin blogging here. 11. What do you love most about your blog? 01. Tell me about yourself in 50 words. A makeup enthusiast and a cat lover. That's what I'm mostly known for. I can be short tempered because I'm pretty impatient. I worry too much, I eat a lot and I workout at the same time and I love spending money on makeup and unnecessary stuff. 02. Open my About page, is there anything that you want to comment? Nothing, other than the fact that you are lovely, what's your skincare routine!? Hehe. Aaaand I just knew that you are the only child in your family. How does it feel to be the only child? 03. What lipstick that you use daily? 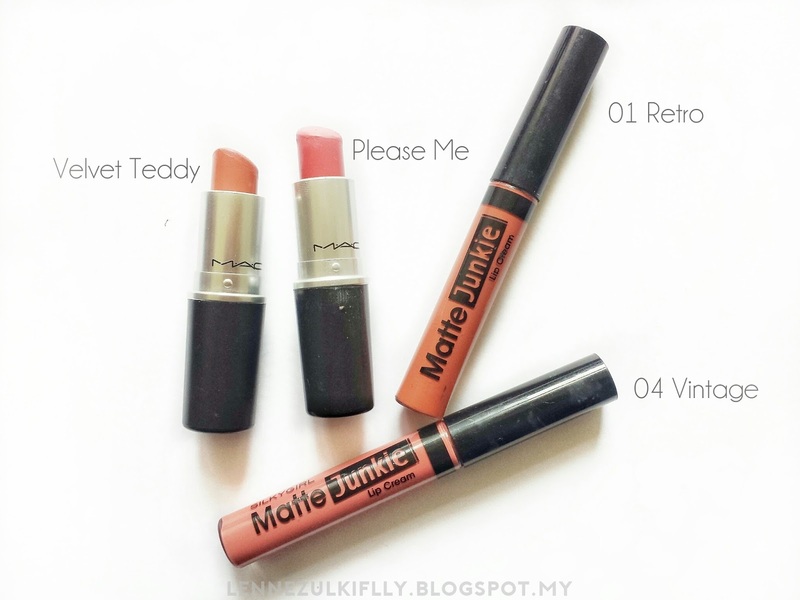 My top picks are MAC's Velvet Teddy and Please Me, Silkygirl Matte Lip Cream in 04 Vintage and 01 Retro. 04. Would you love to have bridesmaids during your wedding day or not? Why? I don't have any plan yet for this. There are no rules written that you have to have bridesmaids on your wedding. I mean, sure, if they will be helping a lot and keep the drama low. However, my heart strongly says that it's not necessary. By not having bridesmaids on my wedding day, I can actually save a bit of money and focus on the things that should be focused. 05. What color might you wanna wear on your wedding ceremony? A mixture of white, soft pink and gold perhaps? Or just white? I don't know, I can't really decide. I need to ask my s/o. Haha. Pastel colors, gold and rose gold. Gold is already bomb, but rose gold is definitely more bomb. You agree or nah? 07. When is your birthday? November 23rd! I kind of having a love/ hate relationship with my DOB because I don't like the fact that it's at the very end of the year but I also love that it's November because I love the name November. I know it does not make any sense, bear with me. 08. Close your eyes... what do you think of? I can't think of anything, honestly. It's too much to bear in my mind that I don't know what to think of first, if that makes sense. 09. Any achievement for this year so far? And what is that? Nothing, really, other than I managed to maintain my GPA higher than 3.5 for the third semester. Alhamdulillah, I got 3.9 again for semester 3. I hope I can maintain like this for another 2 semesters left. Fingers crossed! I run my blog simply for personal reasons. I love sharing my experience to people out there and I love creating content. Being a blogger is fun and I enjoy doing it. That's the only thing that matters. Mrs. A pun kena tag but still in draft. haha tak mudah pun Mrs. A 😄 banyak kena fikir jugak hihi. True that! I really like it :) They have a pretty good selection of shades and I believe they introduced few more new shades in the past couple of months! 80's and 90's songs totally the best . If ulang byk2 kali pun tak boring . Pastel colors ftw! Rose gold cantik kan Nadia???!? Warna yg IMO never goes out of style hehe.